The Institute of Musicology and its partner the Museum of Architecture and Design organise on 8 and 9 April 2019 an international scholarly conference Syntagma Musicum, 1619 ~ 2019 celebrating the four hundredth anniversary of the publication of the third volume of the famous treatise by Michael Praetorius (1571–1621) titled Syntagma Musicum. This monumental treatise is still of prime interest and inspiration to any musicologist dealing with earlier periods of music, especially subjects connected with music theory, organology, iconography, music terminology and performing practice, as well as, more generally, the music (especially the dance music) of the Renaissance and early Baroque periods at large. 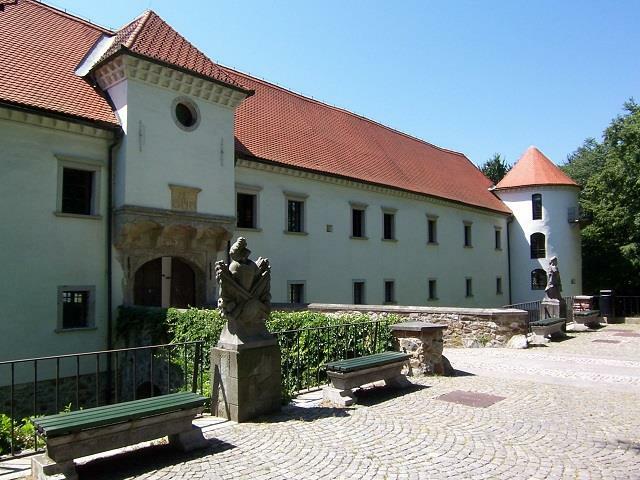 The second day of the meeting will take place at the Caste of Fužine (Kaltenbunn) that was in Praetorius’ time the seat of an important local family of artistic patrons, the Khisls. Today the castle is the home of the Museum of Architecture and Design. Two sessions are, therefore, dedicated to this family, their music patronage, and their home at Fužine.